The best of Nana's homemade Sampler box. Yummy just reached a new level. Sampler includes our large gourmet apple, three loafies (mini cakes-includes key lime our top seller), mini gourmet pies, six amazing brownies, an assortment of our favorite cookies, three of our top selling caramel gourmet pretzels (pretzel with caramel amazing toppings and milk chocolate) , three sandwich cookies and six gourmet ball truffles. Made fresh after order is received. Presented in a box . Prepared and packaged to impress. Impress that special client , picky family member, boss, or out of town friend with the best in gourmet goodies. Perfect for a corporate gift, college, senior or birthday care package. ORDER EARLY WE BOOK QUICKLY. * I loved the sampler! I actually bought it for myself :) I was out of town however, and wasn't here for when my mother received it. However, it came very quickly and she loves it and so do I! LOTS of chocolate, so if youre looking for lotta chocolate and a whole lot of flavor, this is what you need! *Everything is so good. My favorite was the pecan pie and the gourmet Apple. Sending this to some deployed friends next. We ship USPS with priority mail. See shipping for details. DOUBLE CHECK SHIP TO ADDRESS. We would love to include a message. Mark as a gift and leave your message for your recipient at check out. Thank you for Checking out Nana's. We look forward to serving you in the near future. We purchased a care package for our nephew away at college with all kinds of yummies. He let us know how much he enjoyed everything. He received while he was taking midterms and said he could not impress on us on how wonderful it was to get something so far and above what he could get around campus. The communications from this shop is exceptional...so you get a little care yourself when you purchase here. Highly recommend! 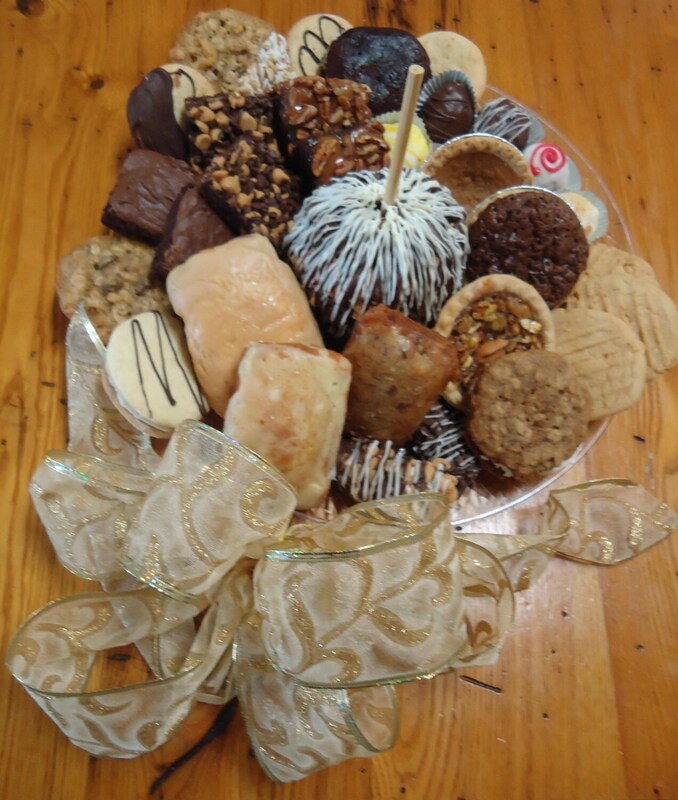 Amazing assortment of treats! Gone in just a couple of days! Fast delivery!